This third-grade persuasive paragraph focuses on light pollution. When it gets darck turn your lights off to save the sea turtles. the baby turtles dont know where to go when thay see so miny lights. 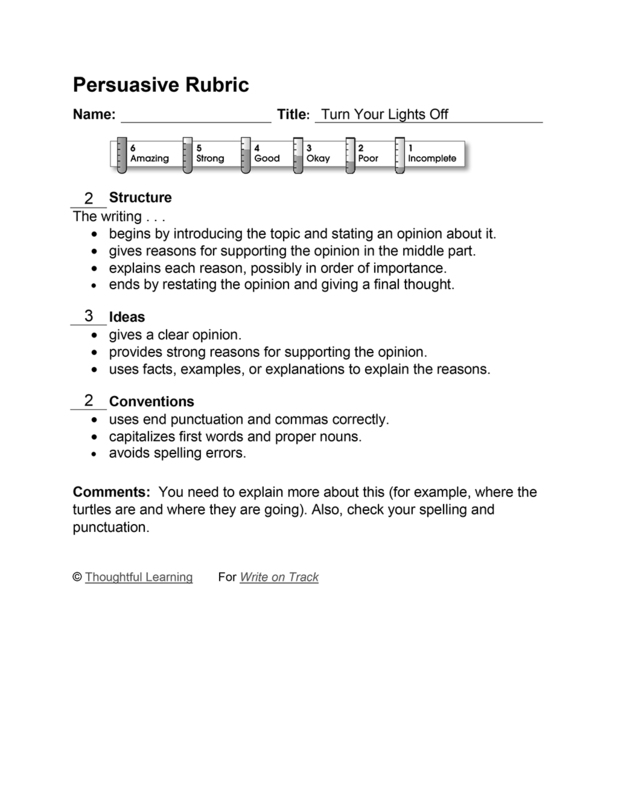 Turn Your Lights Off by Thoughtful Learning is licensed under a Creative Commons Attribution-NonCommercial-ShareAlike 4.0 International License. Based on a work at k12.thoughtfullearning.com/assessmentmodels/turn-your-lights.